The start of a new year also means the start of a new series. This year I have decided to explore a botanical theme in the miniatures, focusing initially on the forest floor. The theme seems well suited to miniatures, as mushrooms and leaves demand our up close attention for viewing details as do small works of art. I am continuing to work in pen, ink and brush on paper, yet loosening up the lines in the initial drawing stage. There has also been a small departure from patterning, which I may or may not stick with. Art is always a process. It will take a few pieces and many hours to define how I proceed with this theme. You never quite know where a piece will take you. Opus Daily Practice – day 5. Hand carved toggles and a small ink drawing. I’ve been a little slow on blogging lately due to being super busy. Part of the busyness has been working on a lot of natural dyeing and a lot of knitting. Hours of knitting everyday. I have been trying out a few new items and writing out the patterns as they develop, plus tweaking a few items that have been “in progress” for quite some time. Developing ideas can take a lot of time. 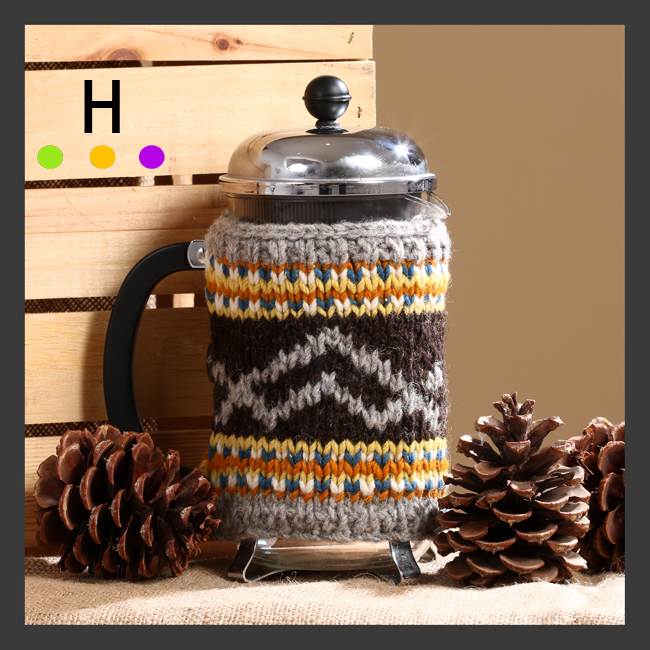 I was asked recently about knitting a cover for a Bodum coffee press. I had not done one before but decided to give it a try. In my mind it was straight forward, which it was, what took the time was making up my mind which colors to use. I couldn’t decide whether to use very conservative colors and patterns, or maybe some odd color combination with bold patterns, in my mind I could see it being done both ways. In the end I chose a middle ground, a very conservative pattern with a rather different color combination of purple, brown, yellow ochre and white; a color combination that you don’t usually see, but I think it works as it is a little earthy and a little oddball; it is interesting because it isn’t mainstream. Of course once I finished the Coffee Press Sweater I had to dress up the mugs. The Coffee Mug Sweater is a variation on my Coffee Sweaters, with the size altered for mugs and the inclusion of a button opening. I chose to knit these in muted shades of the same colors used in the Coffee Press Sweater. This way they co-ordinate without being too matched. The pattern is also similar, but not the same. I think coordinating the set, but not matching could be a fun theme to explore. With winter coming I could have a whole range of covers to switch up the look of the table on a daily basis. The wool yarn used is Canadian produced and milled here in Alberta. I hand dye the yarn in natural dyes and knit the pieces by hand. In this piece the dyes have been made from pomegranate, cutch and logwood. The buttons used are recycled. For the moment this item will be a special order item. By doing each set individually, and chatting with those ordering them, I can make the piece more unique and they will in turn be more of a showpiece as you serve your coffee. Feel free to contact us through the website below if you are interested in this item; we will ship within Canada. 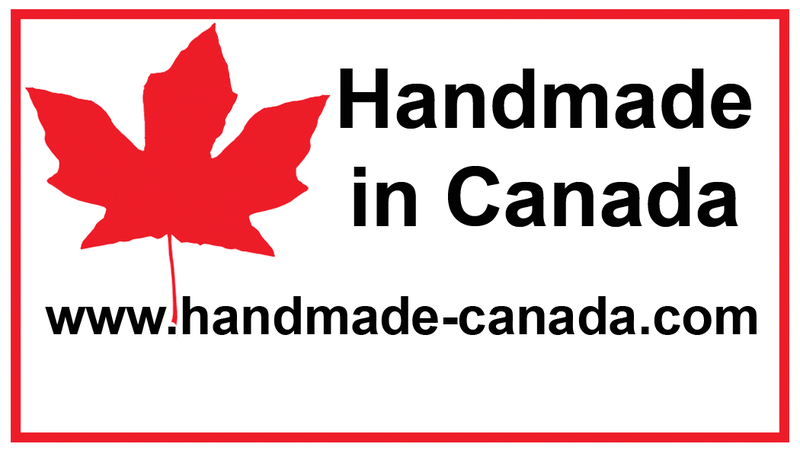 It is also a great gift item for those who like items that are handmade and made out of natural and locally sourced materials from right here in Alberta. For more knit items please click here and it will take you to our website. Red Deer, Alberta and Pender Island, BC, Canada. This cotton shirt has been eco-printed with rose leaves from our garden. The rose leaves give wonderful details and crisp lines. The colors of the prints vary from olive-green to grey. Eco printed wearables are a great choice for the eco conscious person or someone who just loves nature. Unfortunately this item is unavailable for purchase as I love it too much to part with. However if you are interested in any items that I post please feel free to email studioh@shaw.ca for more information. To view the story behind how I create the eco-printed shirt, please visit http://htheblog.wordpress.com/and view the post “Rolled and Bundled Shirt”. 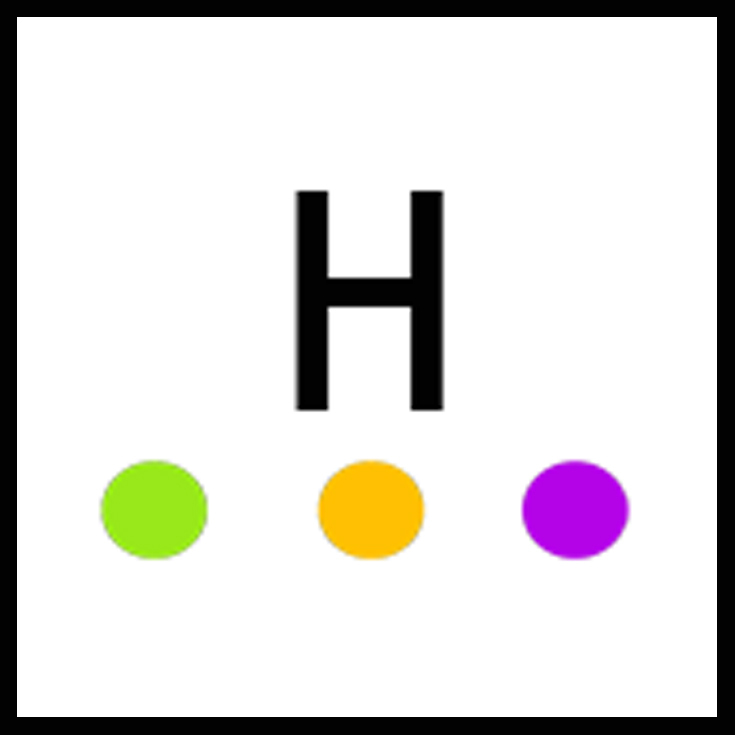 If you are interested, I also post work at www.thehuntergroup.ca and on Facebook .